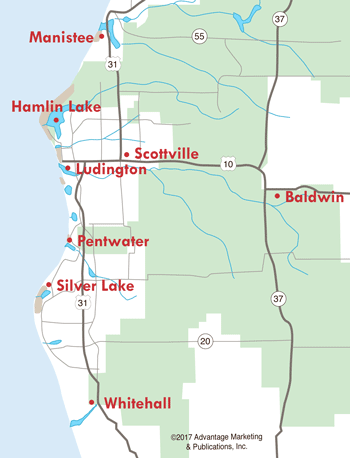 All year long, there are activities going on in the West Michigan area to keep everyone happy. Winter offers snowshoe hikes, skiing, ice fishing tournaments, and festivals. Summer is especially busy, with parades, art fairs, farmer's markets, festivals, and big events, like the Gus Macker tournament, Freedom Festival, and appearances by the Scottville Clown Band. Here we've condensed the annual happenings, so you can see at a glance which time of year you may want to visit our wonderful area. Blue lakes, sandy beaches, and good family fun. Welcome to West Michigan!